Společnost Maro´om Dolphin je dlouhodobým dodavatelem výrobků vojenským a policejním složkám Izraele a dalších států. Jedná se o společnost dlouholetou praxi ve výrobě batohů a balistických vest, které jsou odzkoušeny v reálných bojových podmínkách. Tyto zkušenosti jsou zhodnocovány a zapracovány do vývoje dalších produktů. Společnost PROAMMO Central Europe,spol. s r.o. je výhradním zástupcem pro značku Maro´om Dolphin. Veškeré produkty Mar´om Dolphin jsou vyráběny v Izraeli. 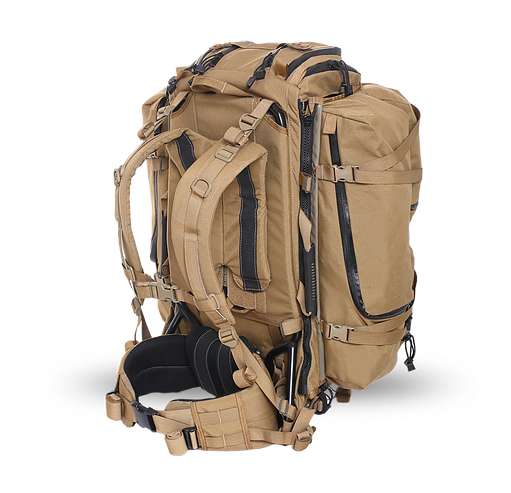 Sniper Bags were designed to offer a modular carrying system for multiple types of sniper rifles of different calibers with a wide range of accessories. 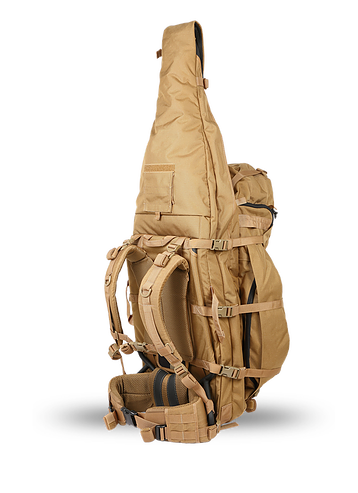 The bags are constructed of one main compartment for storing the rifle along with the basic accessories such as the day and night scopes. 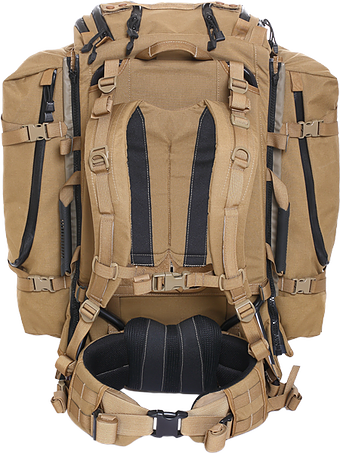 The second compartment is a detachable section for additional accessories (list below) and for all of the sniper’s personal equipment. All accessory pouches are with hook and loop fasteners and are interchangeable between the main compartment and the detachable one based on the equipment. The sniper wants to take along on the operation. Compression straps on every pocket for compressing unused space. Sternum strap for better comfort. Drag straps at the top and sides of the bag. Fully padded waist belt closed with a wide quick-release buckle for better comfort. The FORMISSION system is integrated into the bag for a more convenient use. Optional – A folding foam mattress can be stored in the bag. 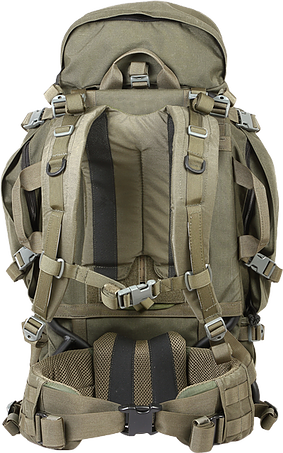 All accessory pouches are with hook and loop fasteners and are interchangeable between the main compartment and the detachable one based on the equipment that the sniper wants to take along on the operation. Sniper Bag for sniping refiles up to 60” long with the bag closed or any refile length when the bag is used open. The bag include fully padded waist belt closed with a wide quick-release buckle for better comfort ant FORMISSION system is integrated into the bag for a more convenient use. 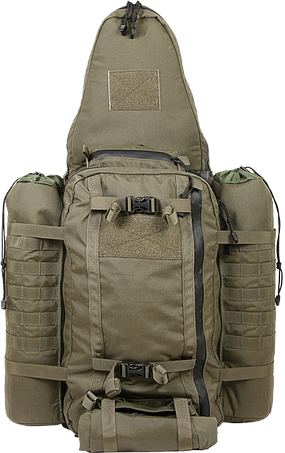 INFIELD bag series was specially designed for use by infantry combatants to offer multi-purpose backpacks for short, mid or long-distance tactical marching operations. 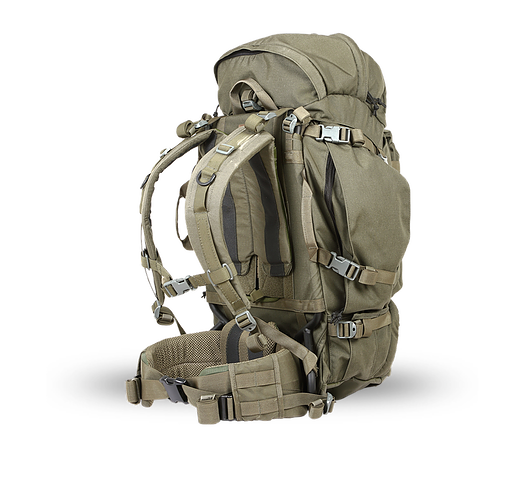 These backpacks were designed implementing our weight distributing FORMISSION system, which balances the weight of the bag between the shoulders and the waist with nominal 30% to the shoulders and 70% to the waist. For that they are highly recommended for use by infantry soldiers. The bags have a main storage compartment with a wide opening from the top to the bottom of the bag (suitcase style) for quick and easy access to all equipment in the bag. This main compartment can be divided into two sections with a detachable flap. A top hat to the bag along with one front and two side pockets provide additional storage capabilities accessible also when the bag is on the back of the user. Lower side pockets allow carrying tri-pods or bottles with compression straps securing them to the bag. Special slots for hydration tubes and communication wires are available. Compression straps along and across the bag for compressing unused space. MOLLE straps on the outer part of the bag for attaching additional pouches. Sternum strap for better comfort. Fully padded waist belt closed with a wide quick-release buckle for the support of lower back. A rain cover for protection against water and dirt is stored in the bottom of the bag (optional). User-friendly back system allows easy adjusting according the height of each user. Our radio bag was specially designed to carry a wide range of radio communication systems. 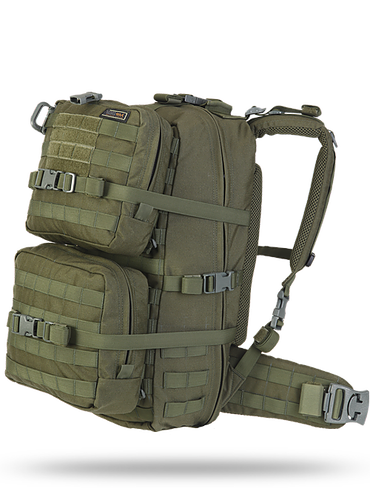 The bag includes a designated internal MOLLE pouch to fit different types of radios, a top opening zipper for antennas and cords, and extra space for personal equipment. 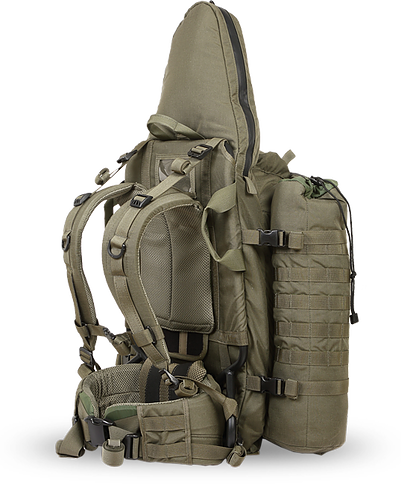 Key features: Main compartment – 50 liter with a MOLLE compatible radio pouch. One 5 liter pocket on each of the sides of the bag accessible also when the bag is on the back of the user. Compression straps on every pocket for compressing unused space. 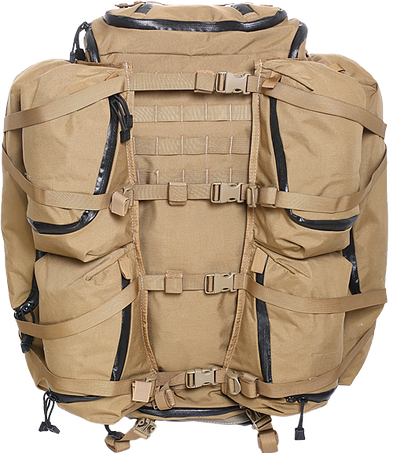 MOLLE straps on the inner & outer part of the bag for attaching compatible pouches. Drag straps on both sides and at the top of the bag. The FORMISSION system is integrated into the bag for a more convenient use. The main compartment is accessible from the front with a full zipper for loading and for maintenance. In addition, there is a smaller top opening for the daily operations. Optional- Two detachable equipment side panels can be attached to the bag with a durable zipper..
Our small medical bag was designed for medics and paramedics. 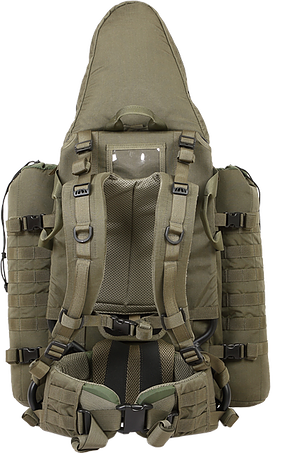 It offers a main compartment of 45 liters with four big detachable transparent pouches (organized inside the bag) and 2 outer compartments attached by MOLLE webbings. The bag is designed with a full opening to allow access to all the medical equipment quickly. The bag is designed to carry all the necessary first aid equipment for a small team. 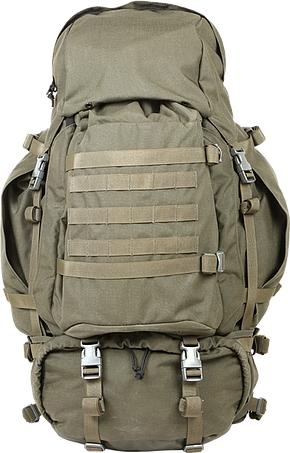 Additional MOLLE surface on the bag, outer compartments and waist belt for connecting pouches.